I love this crunchy granola. Mix and match the ingredients to what you like best, or what you have on hand. You can leave the coconut out, or add more. Use honey instead of maple syrup. Sometimes I use brown sugar. 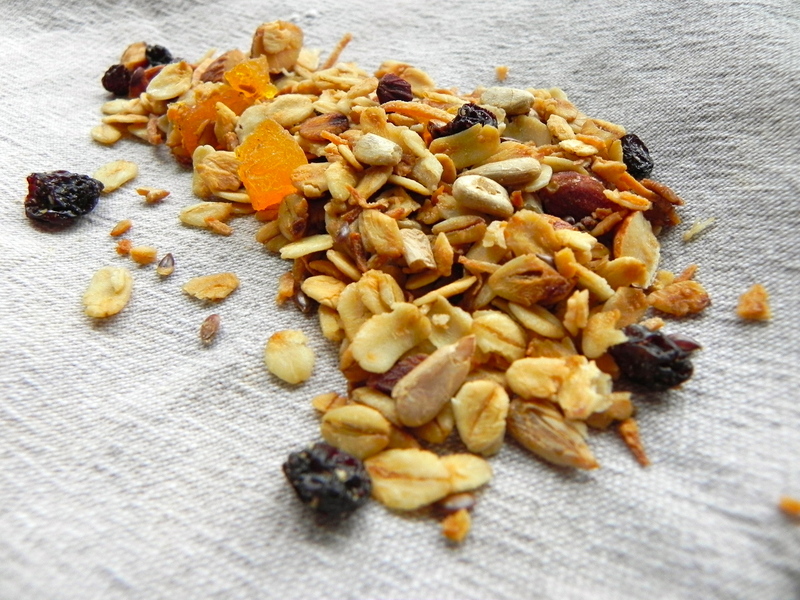 Of course try it on yogurt, but also mix this granola with cold cereal like corn flakes. Or eat some warm from the oven, in handfuls. Mix everything except the fruits. Spread on a baking sheet and bake at 350 for 10-15 minutes, shaking the pan and stirring after around 8 minutes. Watch carefully after 10 minutes: this mix can go from almost done to over-cooked very quickly. 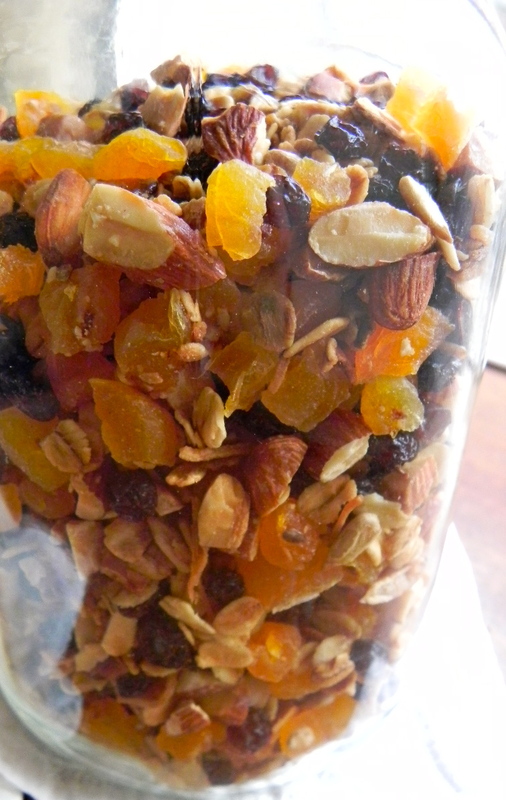 Stir in the fruit while the blend is still warm and let the granola cool completely before storing in a jar. Previous have you seen these beauties?